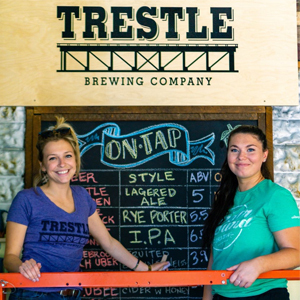 Just in time for Canada Day weekend, Trestle Brewing Company finally opened its doors to the public on Friday, June 29 in beautiful Parry Sound, Ontario after announcing their plans to build an incredible brewery three years ago. 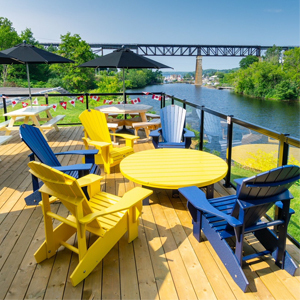 Located right downtown Parry Sound, visitors to this coastal town will enjoy time on the brewery’s stunning deck this summer underneath the famous train trestle, where you can watch the Island Queen and the MV Chippewa III ships go in and out of the harbor, as well as float planes taking off and landing at Georgian Bay Airways. Stop in to enjoy great beers, including their flagship Golden Ale, the newly unveiled Red Rock Rye Porter and an upcoming IPA. Watch for special Trestle Brewing Company events throughout the summer as well, including their hugely popular cruises aboard the MV Chippewa III. For more information check out the Trestle Brewing Company website, or follow them on Facebook.